Motor on up to Motor City and let the good times roll. 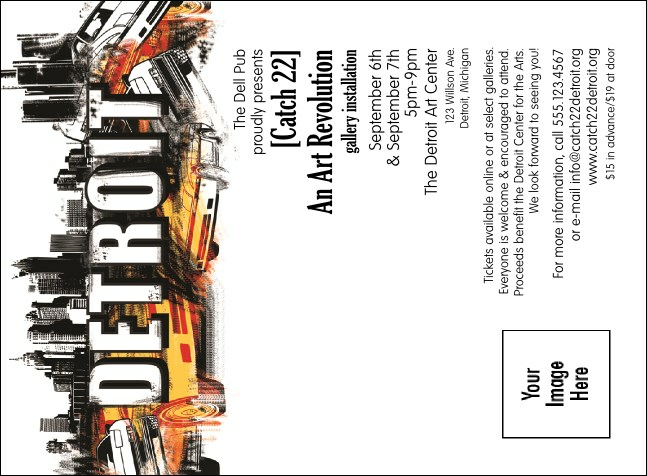 Invite a crowd to your next event in Detroit, Michigan with the Detroit Invitation, with an orange and black automotive design and space for you to upload your own custom image on the template. Start the party off right with the matching Detroit Event Kit.